Yet another blog that was inspired by a phone call: Yesterday, a “new” Dynamics NAV (AL) developer who had to venture into good old C/Side called me about getting an error message when starting the program. 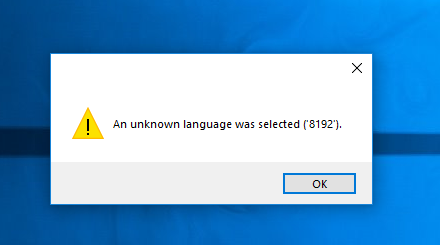 “An unknown language was selected (8192).” came up right after clicking the icon, after which the program would close. Since it took me a while to remember what it meant, I decided to put it in a quick blog, for once and for all. Let’s keep it short: This message doesn’t have much to do with your Dynamics NAV setup. 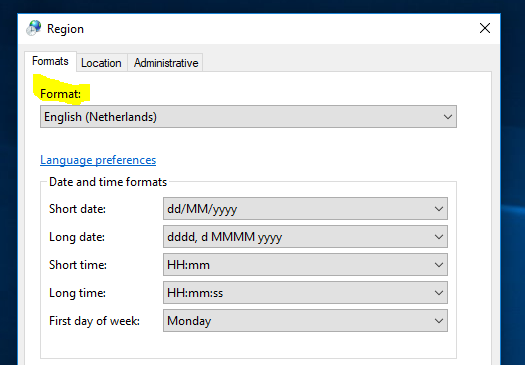 It’s very easy to cause, and also very easy to fix, and has to do with Windows regional settings (being a mix of English and Dutch, but this might also happen with other languages). After this, your development environment will work again. Next »We’ve moved, and more!